People nowadays are talking a whole lot about Hispanic Millennials, but what’s all the buzz and why? That’s why I took a deep dive to uncover what makes this target so hot and what trends are leading the way. Millennials are shaping up America today and make up about 24% of the U.S. population. They greatly outnumber Baby Boomers and Generation X, and are considered to be the most racially diverse generation to date in America. This trend is largely influenced by the large number of immigrants who have been coming to the United States over the years. 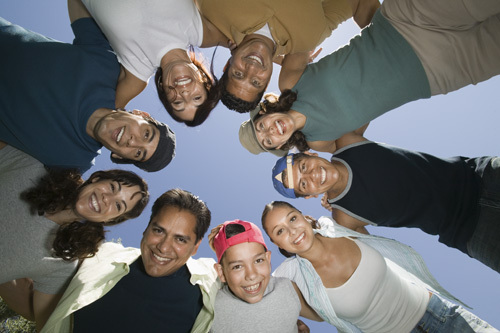 Hispanics in particular make up around 20% of the millennial population in the nation. And within the overall Hispanic population living in the United States, 65% of them are millennials, making them the youngest minority group in the nation. According to the U.S. Census Bureau, Hispanic millennials represent one of every five Americans, and this gap will only decrease in the coming years. And when we look at specific states, their numbers are pretty large. They make up 51% of all millennials in New Mexico, 42% in California, 40% in Texas, and 24% in Florida. Considering these large percentages, it is important to look into what characteristics define them and how they are shaping up the American population today. One thing for sure, is that Hispanic millennials are heavy technology users, spending around 17 hours per week online. These millennials are said to spend a majority of their time on social media using their phones. They are the first generation to have incorporated the web into their everyday lives to connect with friends and family, using social media platforms such as Facebook, Youtube, and Twitter. Other things that millennials are doing online include checking and sending e-mails (72%), streaming music, movies, or TV shows (68%), researching topics of interest (68%), as well as shopping online (56%). Another key characteristic that defines this group is language. Around 40% of Hispanic millennials consider themselves to be bilingual. A majority of these millennials (70%) report speaking “Spanglish” – a combination of Spanish and English words that are made up – when amongst family and friends. Another 23% say that Spanish is their dominant language. Hispanic millennials are also said to have a positive outlook on life. 50% of these millennials are said to be satisfied with life while 72% believe that they have more opportunities than their parents did financially. They value hard work and believe that they have a great chance of success in today’s society. As a Hispanic millennial myself, I find that I can relate to a lot of what the studies show. People in every generation I feel have similar characteristics that define their lifestyle and overall view of life. A lot of this has to do with what is going on in society at the time and how it impacts their everyday living. I feel lucky to be born in such a time where opportunities are endless and the possibility to achieve them are a lot greater than previous generations. This especially goes for Hispanics, as many of us grew up with immigrant parents who have sacrificed so much so we have a chance for a brighter and better future. I think that every generation, including our own, brings to the table new and great knowledge that will benefit future generations to come.